Understanding the connection between body, mind, and spirit is key to healing and well-being. This is something Gina Armstrong firmly believes, and it is what she bases her practice of massage and sound therapy on. Gina helps co-create a safe haven with her clients in order for them to heal and empower themselves on the pathway of quality health. 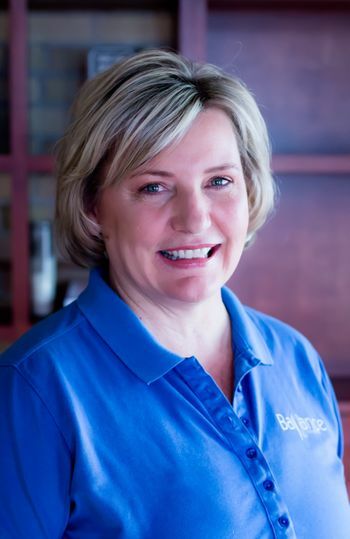 As a 2002 graduate of the Blue Sky School of Massage Therapy, Gina is board certified, state-licensed, and is a professional member of the American Massage Therapy Association. Gina’s unique style of massage is guided entirely by the needs of the individual and incorporates Swedish massage, neuromuscular therapy (NMT), John Barne’s MFR, and Myoskeletal alignment. Her technique is also influenced with an infusion of Peter Hess® Sound Massage and Fabian Maman’s Sound, Color, and Movement Modality; Tama-Do Gina's clients come from every walk of life: athletes, executives, acute and chronic pain sufferers, and even babies. Her aim is to first provide them with pain relief and then set them on a course of self-healing. She hopes you can join her on this journey toward a better life built on the solid foundation that exists in the harmony of mind, body, and spirit! As the owner and operator of Therapeutic Massage Works, LLC since 2002 and Balance on Buffalo LLC since 2009, Gina offers, along with her team of highly trained therapists, the very best in massage therapy, yoga, classes, and workshops.